In order to request that you take a breath test or other chemical BAC test, the police officer on the scene must establish reasonable grounds for suspicion of intoxication. To do this, you will be asked to undergo one or more Field Sobriety tests. These tests are simple, physical tests to see if you may be under the influence or capable of driving safely. The HGN Test (Horizontal Gaze Nystagmus) is used to measure how your eyes follow a moving object. If your gaze remains smooth and steady, you pass the test. However, if your eye movement is irregular or jerks about, then you may be intoxicated. The One Leg Stand Test is meant to check a driver’s sense of balance, since an inability to remain balanced on one leg may indicate intoxication. It’s as simple as it sounds. You will be asked to stand with one foot about six inches off the ground for around thirty seconds. The Walk and Turn Test allows the officer to test both your balance and your ability to follow simple instructions. You will be asked to take nine steps in a heel-to-toe fashion, then pivot on one foot and return to the starting point. Other less commonly used tests may commonly be employed. An experienced DUI Attorney may successfully argue that the results of these tests cannot be used as evidence against you. It is certainly possible to fail these tests for reasons other than intoxication, but the officer is not making a medical judgment, just a professional one as to whether a chemical test should also be administered. What should you do? Although you are not required to participate in field sobriety testing, it is generally advisable to cooperate with the officer. 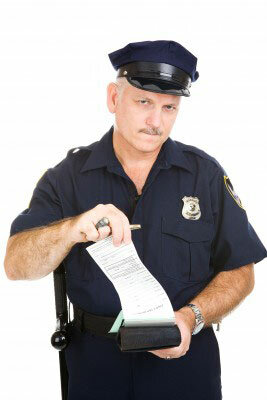 If you believe you may be charged with a DUI, contact Ronald Makoski for your FREE consultation and evaluation. The most common chemical test for intoxication is breath testing, commonly referred to as a “Breathalyzer” or "Intoxilizer." It is used to estimate blood-alcohol content at the scene. Depending on their make, these devices use chemical reactions or infrared spectroscopy to measure the alcohol level in your breath (as you blow into a tube). At the time of your arrest, you may also be asked to breathe into a portable Breathalyzer (PBT). These devices are used to estimate Blood Alcohol Content at the scene. Although a Breath Test sounds very scientific, for the results to be used in court, several criteria must be met. The machine must be properly calibrated; the operator must be certified; there must be a 20-minute observation period prior to the testing, and two breath samples must be taken in prescribed period of time. Breath testing is not always accurate. A lot rests on how well the tests were administered, how well-trained the officer giving the test was, and the conditions under which the tests were given. Nevertheless, do what the officer tells you to do. The best thing you can do to help your case is to cooperate fully. Keep in mind that if you have been charged with a DUI, your opinion on whether the officer was properly trained, administered the tests correctly, or used a properly calibrated breath testing device mean nothing. Only an experienced lawyer can effectively challenge the tests that resulted in your DUI, or even know if making a challenge in your case is warranted. To learn more, contact Ronald Makoski to schedule your FREE consultation. He has helped thousands, just like you.